I used to never understand the purpose of a coffee table book, until I started purchasing them. For starters, I love looking at books. 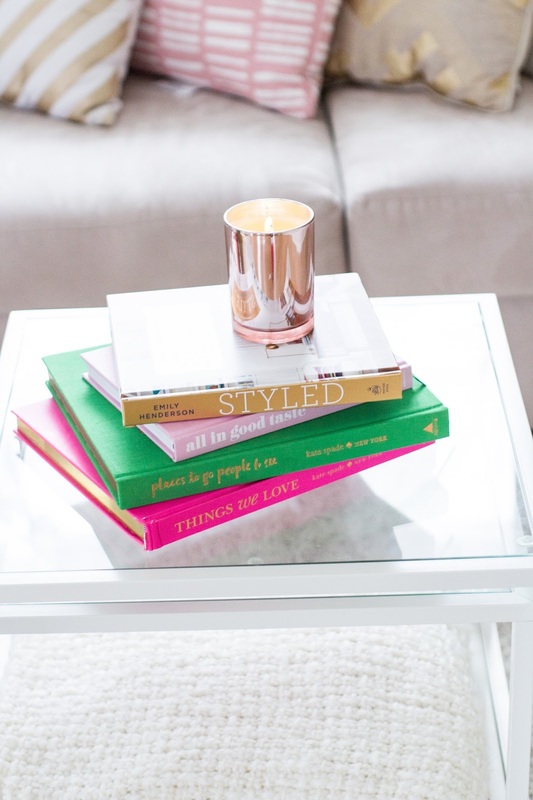 Coffee table books make for great reads when you need some relaxation time, are bored, or need inspiration. Secondly, whenever I go over to someone's house (let's say I arrived early or am the only guest there) it is always nice to pick up one of their coffee table books and look through it…it gives you something to do rather than sit there and twiddle your thumbs! Here's the way I think about it: When you are having guests over and someone arrives early while you are running around in the kitchen or getting ready, books are a great way to keep them busy. Whenever we have people over, I always have a couple books sitting on the table for them to look through. Think of it like magazines in a waiting room, I feel silly just sitting there looking around, a magazine or book passes the time! I have rounded up my collection of my favorite books; this is a slowly growing collection as some books can be expensive. Always check Amazon for new or used books and shops usually run sales when they have too many in stock! Styled by Emily Henderson // My coworker just recently gifted this book to me and I love it! There is a style quiz (a long one!) on the inside so you can find the right style for your home. 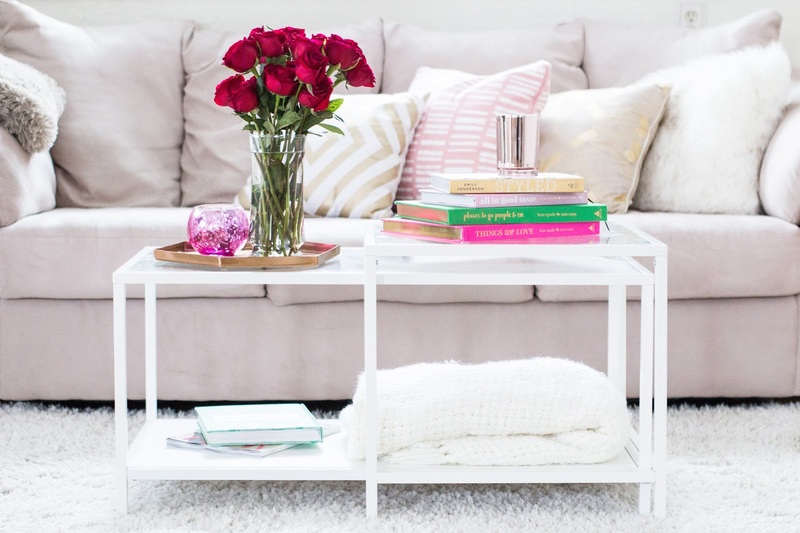 After that, Emily offers great tips and tricks on how to style your home. All In Good Taste by Kate Spade // This is my favorite Kate Spade book. Not only are there recipes but tips on setting a table, good etiquette practices, tricks for creating a menu, writing notes, sending invitations and much more. I always feel so inspired by this brand…and this book is full of inspirational quotes, whimsical sayings, and darling pictures. A must read if I do say so myself! 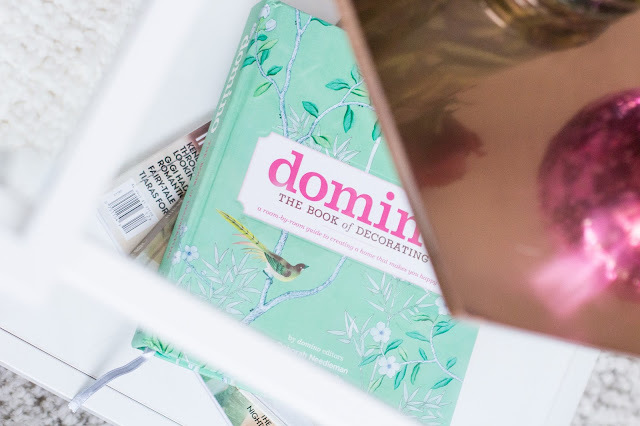 Domino: The Book of Decorating by Deborah Needleman & John Middleton Jr. // This was my first coffee table book and one I love to reference when I am stuck in a rut in the decorating department. I love my home, it's very important to me to create a home that embodies my personal style but comfortable and cozy. This book is great for inspiration (and the magazine is great too!). Places To Go, People To See by Kate Spade // I would love to travel. If I could blog and travel for the rest of my life, I would be the happiest person in the world. Whenever I am bit by the travel bug, but don't have money to travel, I sit and look through this book. You might have read my bucket list a week or so ago…this book provides a lot of inspiration on where to travel and what to do. It's my goal, to travel everywhere listed in the book…I'll let you know in 20 years how that worked out:). Style Me Pretty Weddings by Abby Larson // This is a great gift for those who are recently engaged. I have bookmarked so many pages of gorgeous tablescapes, delicate florals, and luminous evening receptions. Also, for any guest that comes over, it may be fun for them to browse through this and reminisce of their own wedding. 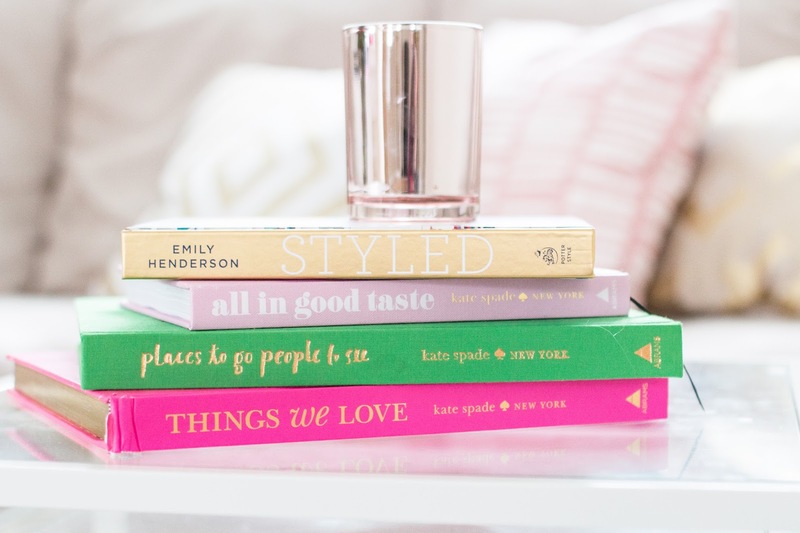 Things We Love by Kate Spade // Another great book with beautiful photos, inspirational quotes, and of course all the things we (well, I) love! 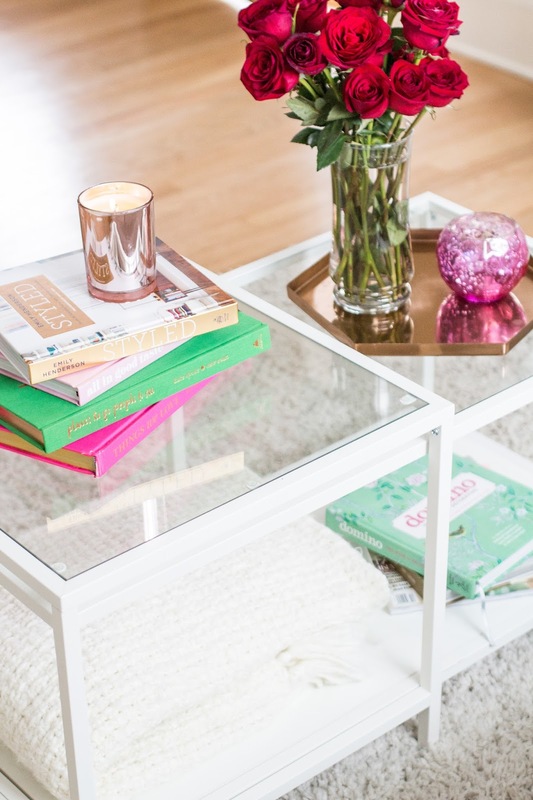 Do you like coffee table books? If so, what are your favorites! ?